I know many of you have been wishing for a chicken jerky treat that is made in the USA, safe, affordable, and available in chain stores. Finally! 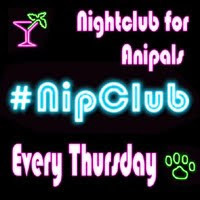 I have found one - Nudges! Nudges are made in the USA, more precisely - in Independence, IA. The chickens used to make Nudges are hatched and raised in the USA too. High Paw! 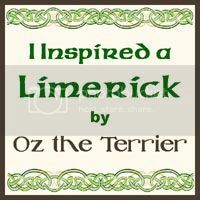 Image provided by Nudges and BlogPaws. 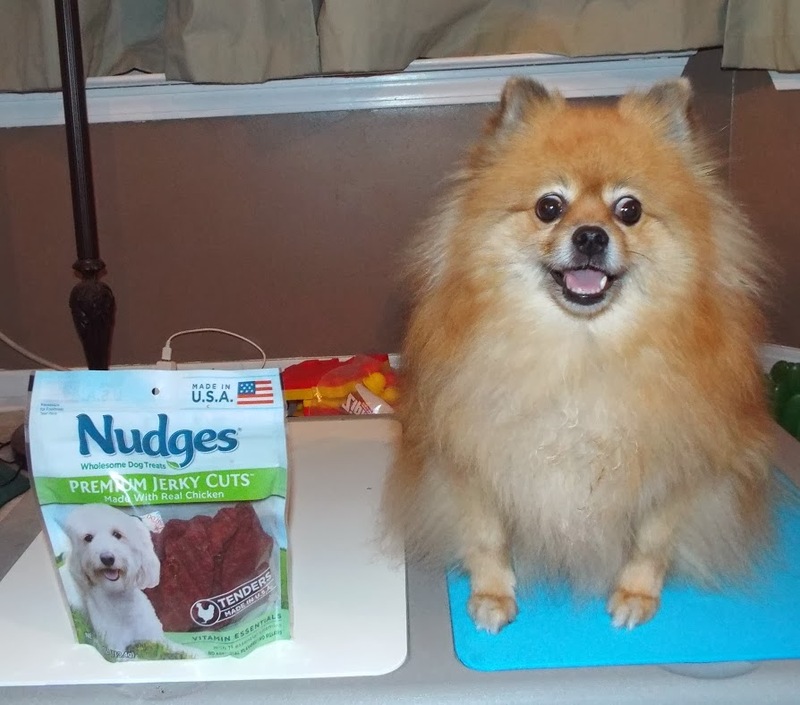 To maintain safety & quality, every batch of Nudges treats is quality tested before being shipped. 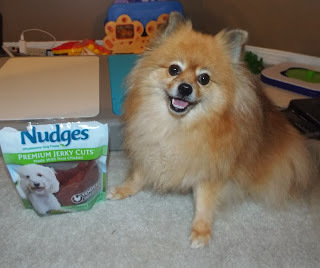 To date, Nudges has not had any recalls. Of course all of the ingredients, including the added vitamins and flavors, are FDA and AAFCO approved. 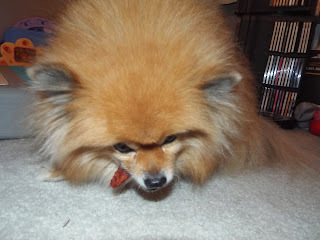 We barked that we wanted safe chicken jerky treats that are made in the USA, and Nudges listened! 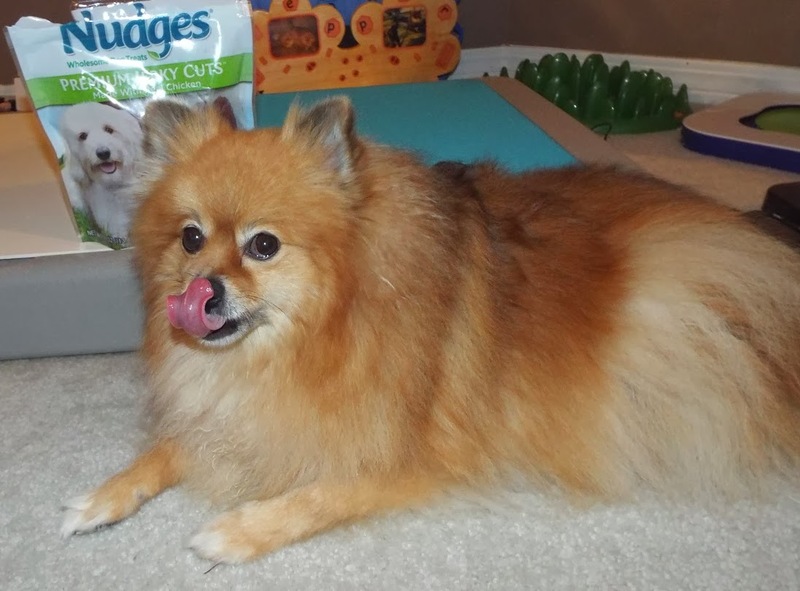 Nudges are available in 3 varieties: Vitamin Essentials, Bone & Joint, and Bites. I received the Vitamin Essentials to try. 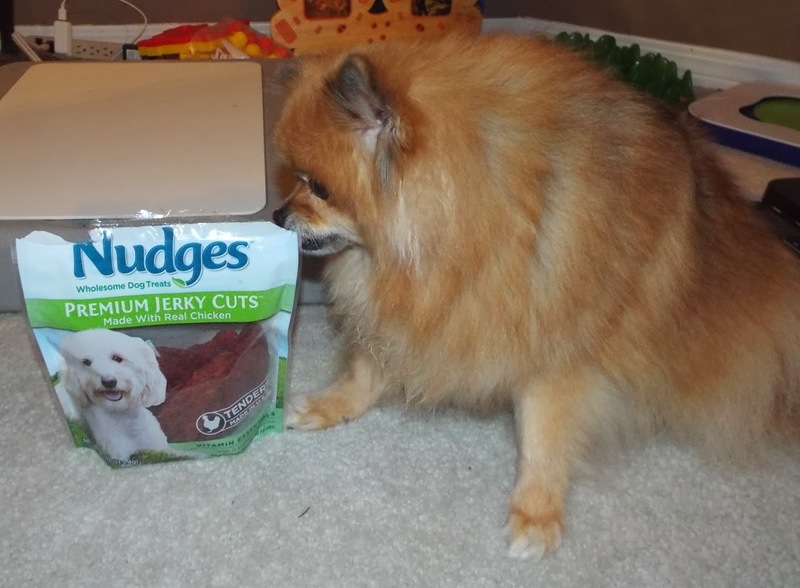 The Nudges Jerky Cuts treats are a nice big size for the large dogs, but they are soft enough to be torn into pieces for small dogs. They have a soft chewy texture that I love. 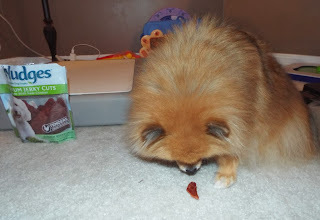 After his throat surgery, Baron had to give up all hard treats - including traditional dry jerky. The soft & chewy texture of Nudges is pawfect for Baron. 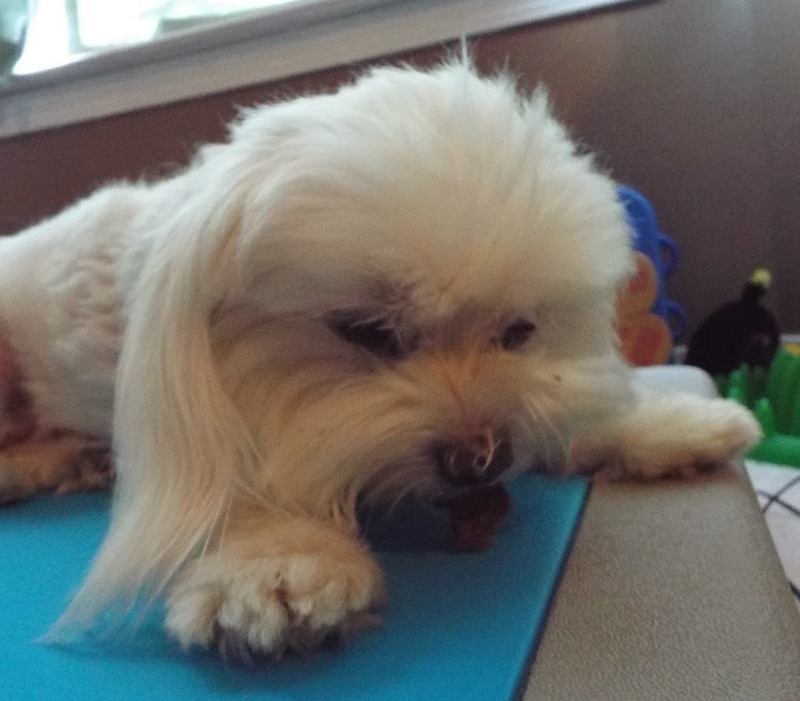 Thanks to Nudges, he is to be able to enjoy jerky again. Did I mention how yummy Nudges are? They are delicious! I recently had surgery, and needed to wear a cone. I hate the cone. However, the cone becomes tolerable when you are fed Nudges every time you put it on. I am addicted to Nudges now, but I still hate the cone. BOL! Baron and I both adore Nudges, and we will follow the bag around. That is saying something about how yummy they are. Particularly when you consider how spoiled Baron and I are, and how many treat options we have. Nudges are really, really, yummy! Pawsome! 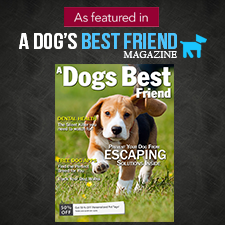 Nudges are available at Walmart and Kroger stores nation wide, other retailers can be found using their store locator. Shhhh, don't give Mom any ideas. I don't want to share my treats with her. BOL! I bet that bag of jerky lasted a lot longer at your house since you are smaller...ours disappeared almost the moment it arrived. They are super yummy! BOL! I am much smaller than you are. I still have at least half of my bag. Mom only lets me have a little piece at a time. One jerky can last Baron and I two days. Mom is constantly yapping about my weight and diet (less than 300 calories per day), so she is stingy with the treats. 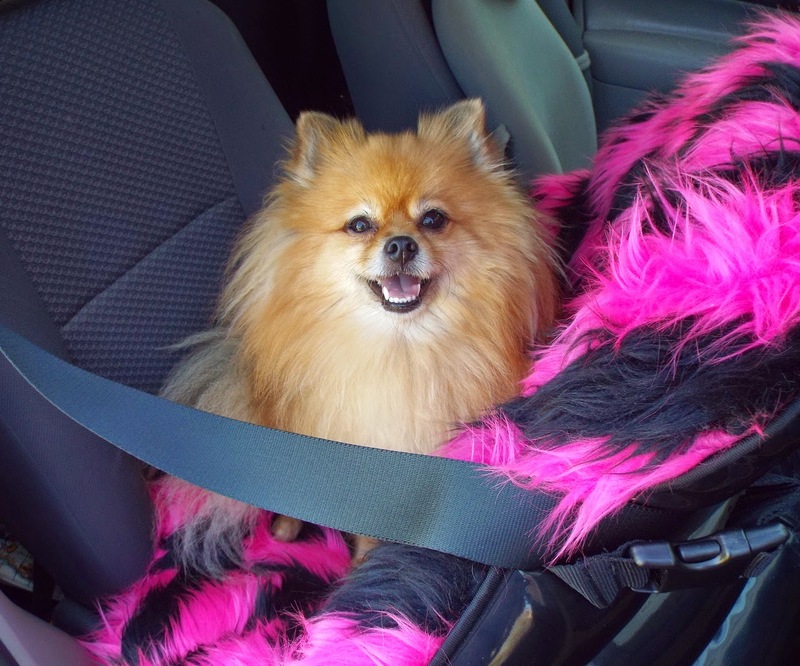 Even a gain of half a pound is significant for a small dog, equal to about 5 pounds on a large dog. I would like to be a big dog so that I could eat more treats! BOL! Wow! How wonderful that there is a chicken jerky treat made in the good ole U.S. of A., Pepper! It's about time, isn't it?!? Since I cannot have chicken, I will take your word for it that they are yummy. I sure will let friends who can eat chicken know about Nudges. Pawtastic! They are furrific, too bad you are allergic to chicken. I can't imagine missing out on so many yummy snacks. At least you can eat beef and venison. I love Nudges. I am a chickyum jerky connoisseur and they got my approval and the approval of the pawents. So happy to know they made the cone a better experience and Baron could have some nice treats after his surgery. Everything is better with chickyum! BOL!! I am so happy there is finally a safe chicken jerky that is available to everyone. Oh, those look AMAZIN' Pepper!! I do loves me some jerky!!! Ma only buys stuffs made in the USA, so this is a good find!! Thanks!! I hopes your doin' okays after your surgery! Sendin' some healin' vibes your way....I hates that cone-o-shame too! !